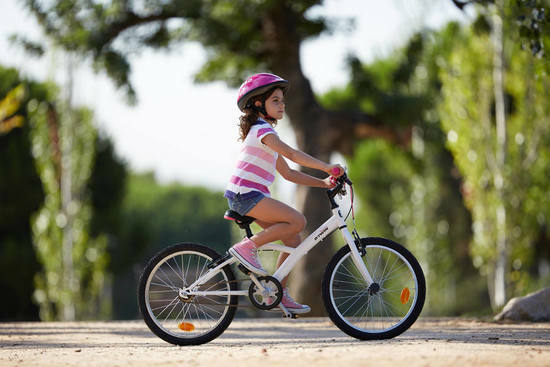 Bicycle for kids plays an integral part in developing strength, balance and overall fitness. It is a healthy pastime that represents fun and freedom, and that’s everything when it comes to kids. It also helps burn calories and strengthens the heart, lungs, and lower-body muscles and bones. Hence, every kid should ride a bicycle during their childhood. If you’re looking to buy a kids bicycle, here’s a list. The run ride 100 kids is a bicycle for kids that have a sturdy frame and adjustable saddle. This bicycle is made for kids who are aged between 2 and 4 years (85 cm to 100 cm) learning to balance on a bike. With this kids bicycle, children can ace the skills of balancing without having to deal with pedals. If you are looking for a baby bicycle for 6-year-old, the Mistgirl is perfect for kids between 6-8 years old (120 to 135 cm tall). 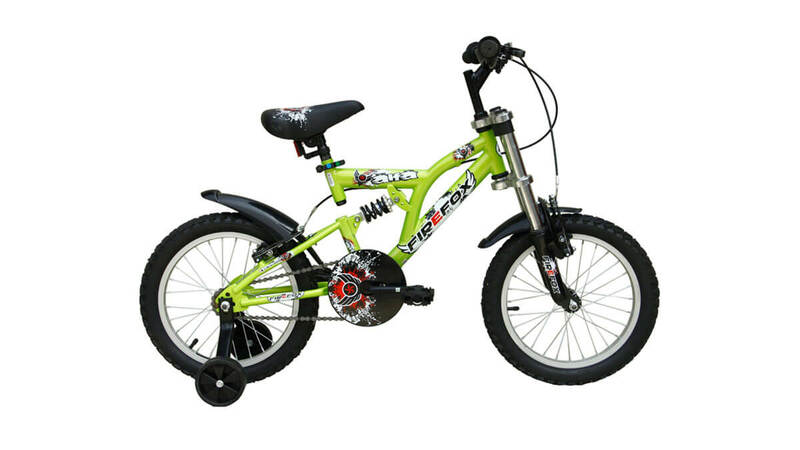 This kids bicycle has a sturdy frame and comes with V – brakes that offer powerful braking. The mistigirl 300 is very attractive and value for money. This kids bicycle is made for Children ages 6 to 8 years (1.20 m to 1.35 m tall). This bicycle is ideal for neighbourhood rides and small trails. It comes with grips and powerful V brakes that make handling and breaking easily for your little one. The racing boy kids bicycle also comes with a chain guard that offers enhanced safety thus, reducing the risk of injury on the chain. Also, the stem and seat post is extendable. So, you need not have to worry as your child grows. This kids bicycle comes with a lowered frame for easy mounting and dismounting. The stop easy brakes allow the kid to break easily and suit the size, shape and strength of the little hands. This bike too comes with a built-in chain guard that keeps the child away from the drivetrain. Those of you looking for a basic single speed bicycle for kids, consider opting for this bicycle. The design is very basic and robust. If you have got a kid above 8 years (with a height of 4.5 to 5 feet), this kids cycle is just perfect. This bicycle for kids is made for those above 8 to 12 years of age with a height of 4.5 to 5 feet. The kids cycle is very basic and it comes with a robust frame and no gears. The unique frame design is what makes it easier for people to get on and off the bicycle. This cycle also comes with V-brakes for powerful braking. Looking to buy an adult bicycle for yourself below INR 10000. Check this list. 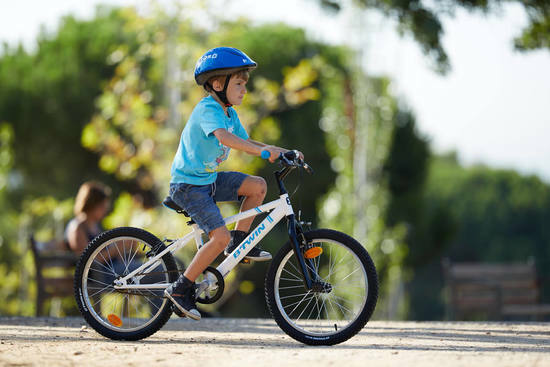 The racing boy 320 comes with 5 speed, soft saddle, V-Brakes and 2 finger brake levers making it the best baby bicycle for kids of age 6-year-old and above (1.20 m to 1.35 m tall). 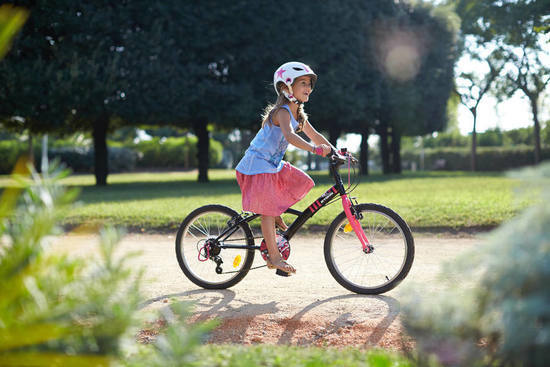 Another baby bicycle for 6-year-old and above is the Btwin Mistigirl 320. This bicycle for kids comes with 5 speeds, soft saddle, and suitable brake levers and weighs around 11.8 kg. A speciality of this kids bicycle is that it comes with grip shifters that make it easier for kids to change gears. 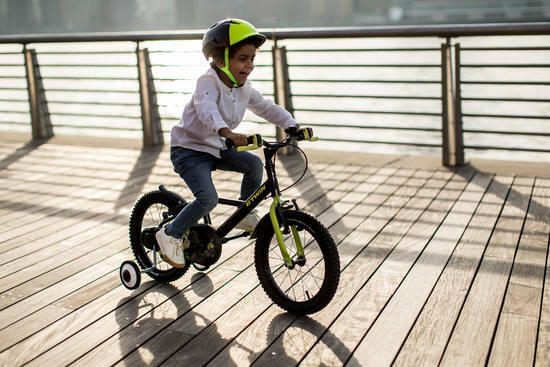 The bicycle for kids also comes with chain wheel guard and anti-jump derailleur guard that offers added safety by reducing the risk of injury on the chain wheel. Kids below the age group of 6 do not need to feel left out. The Btwin Dark hero 500 is just perfect for them to learn how to ride on two wheels. The 16″ bike comes with a mudguard and stand. It also has a full chain guard that ensures a safe ride for your child. The lowered frame for easy mounting and dismounting makes it the best bicycle for your kid. Made for kids for 8 years old and above, the Rockrider 300 kids is certainly a rock star. 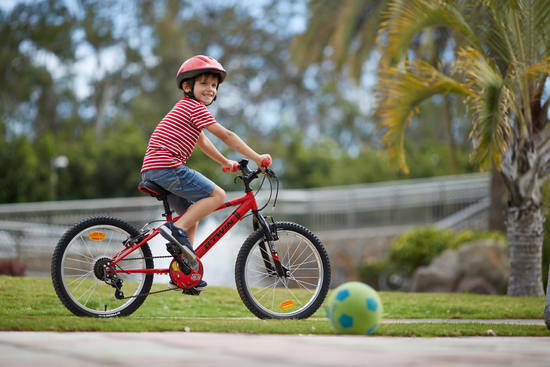 This bicycle for kids is a 24-inch bike for learning recreational mountain which is fully equipped with 6 speeds and ultra-soft shifter system for children. Strong Hi-Ten steel and MTB frame geometry, designed to enable children to easily ride along any kind of paths or trails. This kids bicycle also comes with a quick release which front wheel which makes it easier to remove and can be transported easily. This kids cycle is made for cycling for children aged 8 to 12 (135 to 155 cm). 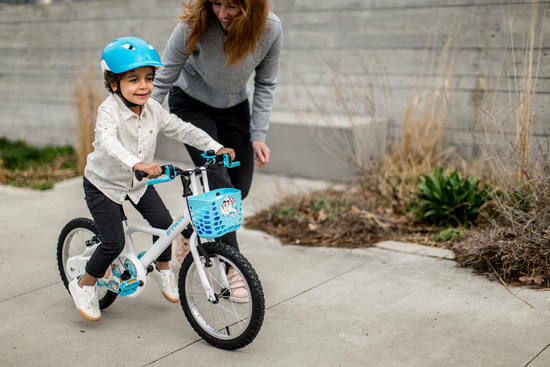 This bicycle for kids comes with a low-step-through frame, 5 speeds, comfortable saddle that let children cycle along paths and trails or riding around town. Whether it is cycling along paths and trails or cycling around town, this bicycle is perfect for those who are aged 8 to 12 (135 to 155 cm). This bicycle is a 24-inch, 5-speed bike with a comfortable saddle that makes cycling a pleasure. This bicycle is much suited for kids aged 3-5 years of age. The sturdy frame comes with BMS tires Training Wheel, Full covered chain guard, Safety pads and Fenders. The bicycle also comes with a Seat Quick release that lets you adjust the height of the seat easily. Looking for the best hybrid bicycles between 15,000 to INR 30,000. Check this. The Xplozo 14″ is a Kids Bicycle that comes with a Steel Oversized Frame, a Rigid Steel Fork, V-Brakes with Plastic Pedals 14″ BMX tires and training wheels. It is best suited for any kid aged 3 to 4 years or is 3’- 3’6’’ feet tall. This bicycle is ideal for riding around the house and society compound. Another bicycle from Firefox, which has a Steel Oversized Frame, a Steel Rigid fork, V-Brakes, 14″ BMX tires and training wheels. It is ideal for kids who are aged 3 to 4 years or is 3’- 3’6’’ feet tall. Such kids can easily ride this bicycle in the building compound. Another bicycle that is best suited for any kid aged 4 to 6 years or is 3’6’’- 4’ feet tall is the drako. When it comes to kids, they always need a lot of variety. Keeping this in mind, Firefox has designed bicycle for boys and bicycle for girls that are affordable, sturdy and long-lasting. At the same time, the bikes offer complete safety to the kid while cycling. 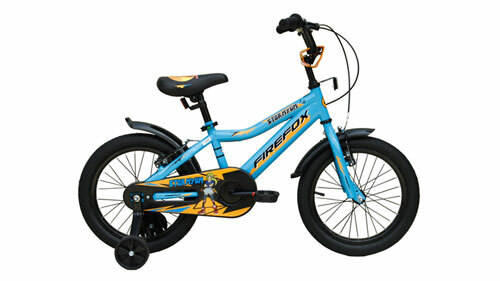 The Firefox Dantee takes care of all these concerns and is the right bike for kids aged 3-5 years. The firefox Diablo comes with a Steel oversized square BMX frame, One piece crank, Reinforced training wheels and Non-toxic paint. The bicycle also comes with adjustable saddle & handle that makes it easier for you to adjust for your toddler. This bicycle for girl comes with steel oversized girls BMX frame, One piece crank, Reinforced training wheel, Non-toxic paint, Colored rim, basket & streamers. With this bike, we’re sure your little one is going to be happy cycling around the society. Looking for a baby bicycle for 7-year-old? The stormyum 20 is perfect for kids aged between 7-9 years of age. While the bicycle looks cool with the orange and black combo, it is quite similar to the above-mentioned Firefox bikes. The only major difference is that this kids bicycle comes with Nylon tyres & Butyl tubes. Another bicycle specially designed for girls is the Destiny 20. The bicycle for girl comes in pink and sky blue color that your little one is surely going to love. It has Adjustable saddle & handle that makes it easy to adjust and ride away. The combat is a great bike for kids who are looking to cycle in the society premises. Besides the Nylon tyres & Butyl tubes, the bicycle comes with Steel ‘V” Brake that offers powerful braking. This baby bicycle for 7-year-old and above comes with Colored rim, saddle & streamers that are sure to delight your little one. If your kid is adventurous, get him the Firefox Alfa. This kids bicycle comes with steel full suspension frame and a front suspension with double crown. Looking for more variety for your little one? This kids cycle is perfect for any 7-9 years old. Another baby bicycle for 7-year-old and above. A Unique USP of this bicycle is that it comes with a Steel full suspension frame. The bicycle also has a sturdy suspension fork. The Mach+ is suitable for kids aged 7-9 years old. The Firefox breeze bicycle for girl comes with alloy rims and a steel hardtail women-specific frame. Ti has a good front suspension for and Wanda Nylon tyres & Butyl tubes. It also has V Brakes and Saddle & front wheel with QR facility. Unlike the other bicycles for kids, this one is well suited for kids between 9-12 years of age. Steel hardtail frame, Front suspension fork, Alloy wheels, Cotterless crank, Adjustable saddle & stem are some of the top features of the FireFox Axxis. This Junior bicycle is well-suited for those who are aged 9-12 years. Besides the basic kids cycle, Firefox has some really cool bicycles for kids too. The Alfa is one of them! This junior bicycle comes with Steel full suspension frame, double crown suspension fork and Non-toxic paint. Most important of all, Firefox Alfa is equipped with Shimano 6 speed Revo Shifter that makes shifting gears a breeze. The fusion 24 comes with Shimano 6 speed REVO shifter, Zoom suspension fork, Alloy rims and Steel Hard tail frame. The bicycle also has Wanda Nyoln tyres & Butyl tubes. The Fusion baby bicycle for 7 year old and above (up to 12). The orange and black colour combination certainly make this bike look like a monster. 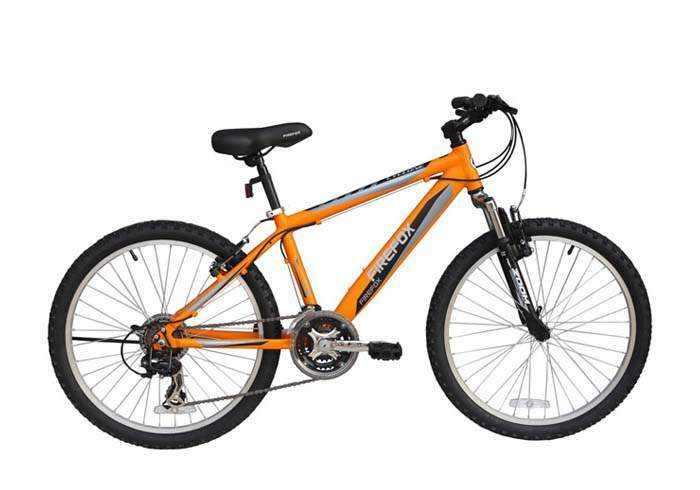 The bicycle is single speed and comes with Fat Nylon tyres & Butyl tubes. The Firefox Cyclone takes kids bicycle to a whole new level. It is equipped with Alloy hardtail frame, Shimano ALTUS 21 speed EZ Fire shifters, ZOOM front suspension, Alloy rims, Wanda Nylon tyres & Butyl tubes. 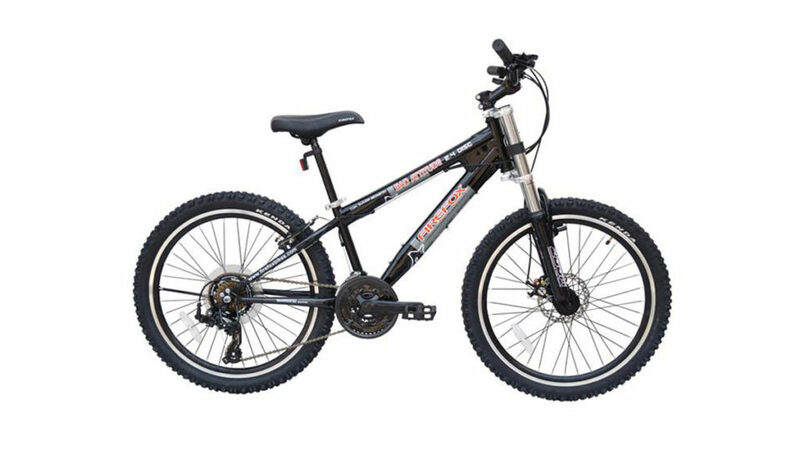 If your kid is in the age group of 9 to 14 years, this sturdy and well styled Mountain bicycle is a good buy. The Firefox Bad Attitude is an entry level MTB that comes with value for money components. The bicycle comes with a Suspension fork with double crown and Shimano ALTUS 21 speed shifters. It also has Alloy double wall rims with CNC side that makes it ideal to ride on mildly bumpy roads and mud paths and trails. Looking for a fully loaded bicycle for your kid who is aged around 9 to 12 years? The Bad Attitude comes with front suspension, Shimano Tourney and not to forget the disc brakes. Avon is known to make some really good bicycles for years. The Avon Sportik is one of them. It comes with a foam padded, caliper brakes and BMX handle with a crash pad. A simple bicycle that comes with the basic to get your little one fall in love with cycling. The Avon Rowdy is another kids bicycle that comes with front and rear suspension, kickstand and a raised handlebar. The bicycle is pink and white in colour and is suitable for girls who are looking to cycle. It comes with a basket and foam padded with backrest for comfortable riding. There are many other bicycle for kids by Avon that focus more on safety which you can see here. The Hercules Rambo comes with a Super Sporty Frame with front suspension. It has caliper brakes with alloy levers that make it a good kids bicycle. The Hercules spitfire comes with a sleek and sporty frame. This kids cycle is equipped with V-brakes with alloy levers that make braking easy. For more Hercules bicycle for kids, click here. If you know of any other bicycle for kids, feel free to comment below and let us know!